Radiofrequency ablation is a medical procedure used to alleviate chronic lower back pain caused by an inflamed facet joint. The facet joints are located in pairs along the spine, from which medial branch nerves submit pain signals to the brain. A radiofrequency ablation (RFA) destroys these nerves using an electrically charged needle that submits heat to the nerve root via radio waves. Lumbar radiofrequency ablation procedures are never performed without first confirming that a particular facet joint is responsible for a patient’s pain. Doctors usually perform diagnostic medial branch block procedures first, which temporarily numb – rather than destroy – the nerves. If a patient achieves significant relief from the block procedure, it may be followed up with a radiofrequency ablation. Am I a candidate for a lumbar radiofrequency ablation? You may be a candidate for a lumbar radiofrequency ablation if you have chronic lower back pain that radiates into the lower extremities. RFA treatments are generally reserved for patients who have already tried more conservative treatments without experiencing adequate relief. What should I expect during a lumbar radiofrequency ablation procedure? 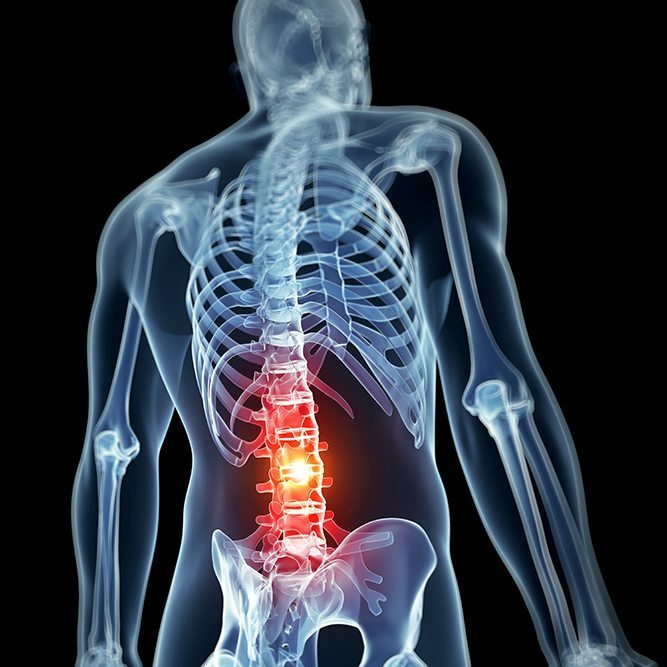 Lumbar radiofrequency ablation is an outpatient procedure performed under x-ray guidance in a surgical center. During a lumbar RFA procedure, you’ll be asked to lie face down on a table. The injection site will be cleansed and numbed, and a needle will be carefully guided to the inflamed facet joint. Additional numbing medication is administered at the nerve before the radiofrequency stimulation begins. Ablation takes only 1 to 2 minutes per joint, although the entire procedure from start through recovery takes a couple of hours. What types of results can expect from nerve ablation? Lumbar radiofrequency nerve ablation results do not appear for many days after the procedure is complete. However, most patients will have a significant reduction or elimination of pain in less than 2 weeks. Ablated nerves can regenerate several months or years after an RFA procedure, or they may not regenerate at all. However, regenerated medial branch nerves are less likely to generate the same pain intensity you felt prior to undergoing RFA. If necessary, RFA can be repeated.